Games that bring numerous franchises together are not a new thing nowadays. The Smash Bros series groups all of Nintendo’s iconic figures and guests, Marvel and Capcom join forces in a fighting game, etc… And so Koei Tecmo jumped on the bandwagon in 2007 with the spin off Warriors Orochi 3 Ultimate, bringing all of the Omega Force’s iconic characters in one game, and now 10 years later we get another version: Warriors All-Stars. Set in a fantasy world – whose name remains a mystery throughout the game – that is in peril since the death of its King, Warriors All-Stars has your typical Musou script. The power of “Spring” controlled by the monarch ceased to work for the common good and a civil war broke out between the three heirs of the throne which only worsened the situation. A prophecy then emerged, announcing the arrival of heroes from parallel dimensions and so Tamaki, wanting to save the kingdom, invokes them to restore peace between her siblings (Setsuna and Shiki). The scenario born from the Omega Force is not exceptional, but that’s never the point anyway, as the narrative of Warriors All-Stars is a simple pretext to propel in a universe that works for all playable characters. Lifespan is considerably healthy, even if the Story Mode is the only playing mode available, with its multiple purposes depending greatly on the choices made during the missions and the character selected at the very beginning of the adventure. The game offers 30 playable heroes (including 3 original characters inspired by the Three Imperial Regalia of Japan: Tamaki, Shiki and Setsuna) which are a rich and motley cast. Warriors All-Stars draws on 13 of the major franchises that Koei Tecmo won to create a roster that will appeal to the majority of fans of Musou. Each hero is distinguished by its known visual as well as the combat style they are known for. Warriors All-Stars is a game intended above all to the fans of the Musou genre, and newcomers to the franchises might feel distant to the appeal. This action game takes over all the codes inherent to the genre and relies on the mechanics of the productions of the studio to develop its own gameplay. You basically will have to eliminate the generals present on a labyrinth-like map, after massive smashing of army hordes, using classic special attacks and Musou Rush… A perfect summary of a redundant experience. This spin-off inherits the inevitable RPG components granting tenfold power and new abilities to the various unlocked characters, and these improvements go through maps and battles, unlocked at the Sanctuary. Like any Shonen story, Omega Force has a friendship and relationships system that is forged between the heroes at the center of its gameplay. It is thus advisable to form a homogeneous team before entering the battlefield to profit from a surplus of power and specific aptitudes of selected allies. By simply pressing the D-pad, the main hero can trigger a special attack, which tag teams with the 5 protagonists, controlled as one by the player. As these heroes fight side by side, ties are formed between them with the immediate effect of access to new combined abilities between the leader and his “lieutenants”. While this universe is mostly composed of cheap textures and full of fanservice, Warriors All-Stars quickly accentuates this feeling of repetition that emerges from the game after only ten hours of slash and dice. Warriors All-Stars does not shine by its technical engine either, mostly a modified version of the old Samurai Warriors: Spirit of Sanada engine, which can feel outdated whether it is on the front of landscape or even characters. But the main criticism from my end is the artistic direction, which can be very awkward, considering each one of the Koei Tecmo franchise have their unique styles. I find it weird to see Dynasty Warriors’ heroes like Lu-Bu paired with cell-shading styled characters like Arnice from the Nights of Azure series. 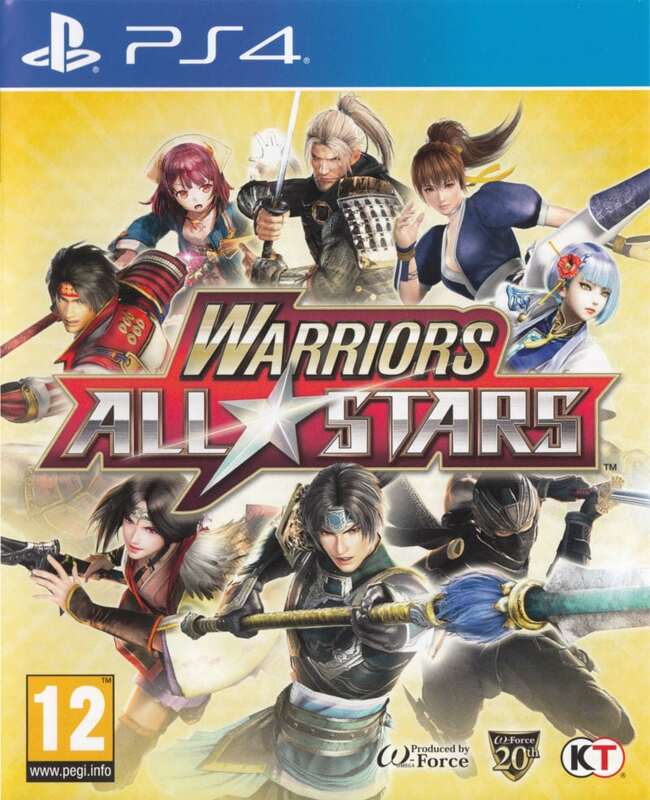 Warriors All-Stars was reviewed using a PlayStation 4 copy of the game provided by Tecmo Koei. The game is also available on PlayStation Vita and PC in digital and retail releases. We don’t discuss review scores with publishers or developers prior to the review being published. Warriors All-Stars is a game content to pile up emblematic characters of Tecmo Koei's franchises around an heavy action gameplay. Suffering from an artistic direction that mixes weirdly, I can only recommend this game to true fans of the franchises and lovers of the Musou genre.